We're sure you're doing a great job as a parent. But everyone can use a little help, and so we offer this free and fun financial literacy program for kids. Children can learn how to save, spend and manage money through printed and online activities. It's an investment of a little time that could pay dividends for a lifetime. It's fun and games with a financial focus. Our name, of course, is Education First. So, it's no coincidence we provide educational activities for Southeast Texas families. 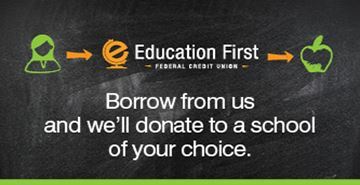 The Center for Advanced Financial Experimentation (C.A.F.E) program helps to create a community of educated consumers who can best benefit from all the services our credit union has to offer. It's Never Too Early to Start Teaching About Smart Banking!